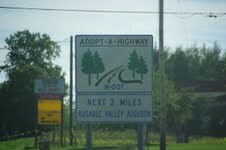 AuSable Valley Audubon programs cover a wide range of subjects including birds, wildlife, plants, and environmental issues. The Tawas Point Birding Festival which is hosted by Michigan Audubon is a big volunteer focus for our chapter. Not just in the spring, either. Planning begins as soon as this year’s festival completes. Our members work closely with Michigan Audubon staff as volunteers to provide an exceptional birding experience to participants. 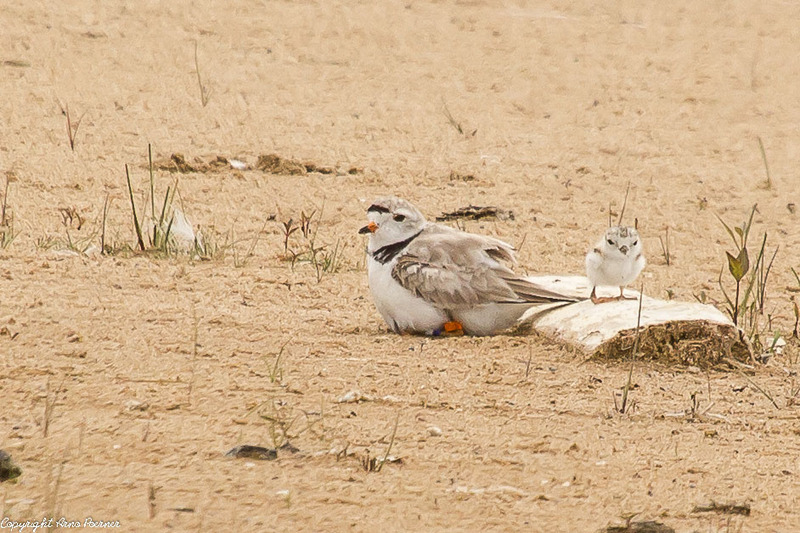 Plover and chick at Tawas Point State Park. The endangered species Piping Plover nests in various locations within our home area. 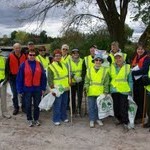 Many volunteers put in countless hours to provide monitoring and public awareness by taking part in the Michigan Dept. of Natural Resources’ Piping Plover Patrol. Our members provide local assistance to and with the support and guidance of the U.S. Fish & Wildlife Service, the MDNR at various local locations whenever the endangered Plover is observed during the fragile nesting period from nest site building through fledge. 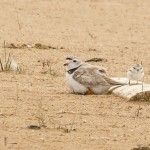 Check out our Piping Plover page here. 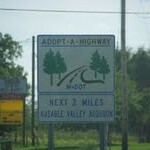 Our organization sponsors the cleanup of roadside trash over two mile area of M-55 between Tawas City and West Branch under the guidance of the Michigan Department of Transportation’s Adopt-A-Highway program. Check out our volunteers in their red, orange and yellow finery. 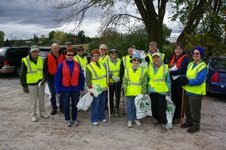 AVA volunteers recently completed the last of two road cleanups for 2017. It was a perfect fall day for the cleanup effort. The work was quickly completed and many of the crew retreated to Sue and Larry’s for a fine lunch. Our thanks to the group. A group of volunteers produce Bluebird house kits. These kits provide young people the opportunity to build a kit in a classroom setting through various schools in our area. There is much more information and activity photos on the project page here. We invite you to participate in these activities. Please check out our contacts page if you have questions or wish to participate.